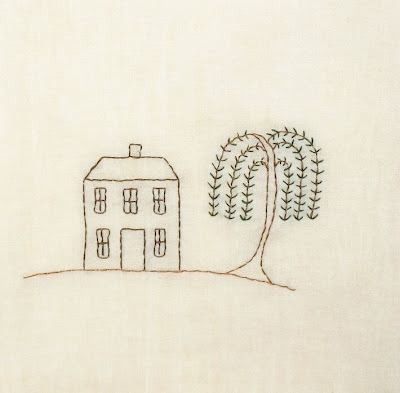 Today, we have a guest blogger, Colleen Bass of www.needlesnpinsstitcheries.blogspot.com. Please be sure to visit her blog when you get a chance. 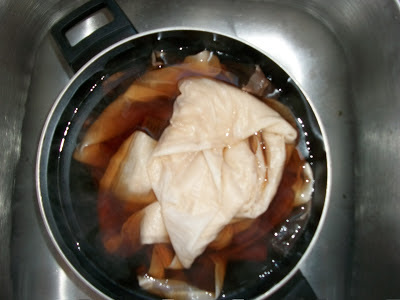 It is snowing again today (of course) and I don't want to go outside so I thought I would do some tea staining. 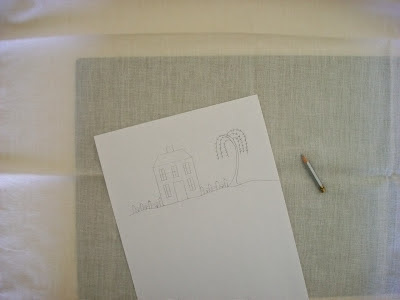 I need to work on some of the flour sack tea towels that I embroider so I need to have some tea stain towels. 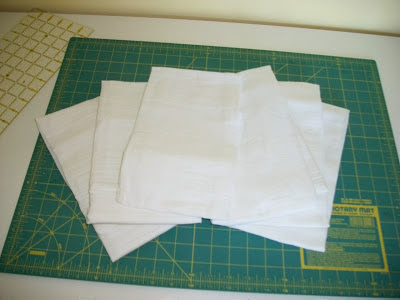 I start with white 100% cotton flour sack towels. I get them from my local Joann's (love that store!). First I boil a pot of water. 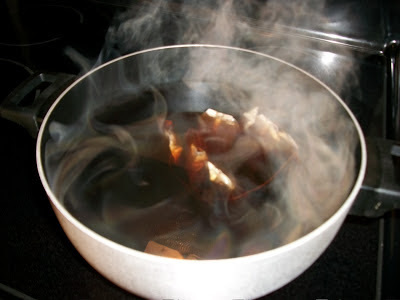 Then I put about 8 tea bags in the water and let them steep for awhile. Next I add the towels. Usually I put two in at a time. Then I start with letting them sit in the hot water for about 10 minutes to start with. I have found out that it depends on the towel and how it is made as to how it will take the stain. Sometimes it stains really dark right away and sometimes it takes more than 10 minutes to darken. I have had some towels that almost never get dark at all. Next, I put them in the dryer to dry. Some people say don't dry them in the dryer, but I have and do not seem to have any trouble. Then I take the towel and draw on the towel. These are my own designs so I have the pattern already drawn so I just trace the design on the towel. Then I stitch the design on the towel and whalla.......a finished towel! I really like doing hand stitching. I usually work on this in the evening while I am sitting in my comfortable chair and supposedly watching TV. Thanks for visiting and hope everyone has a great day!